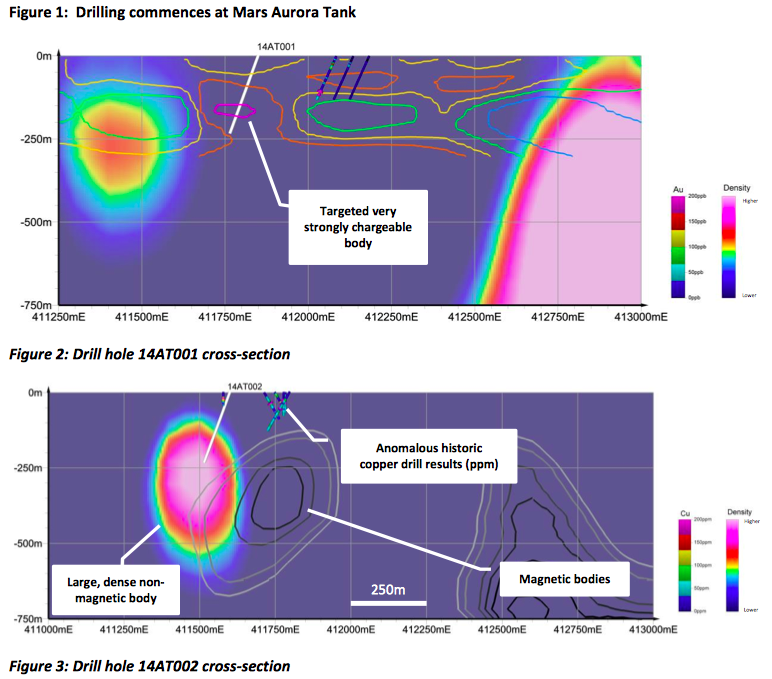 Drilling results soon at Mars Aurora Tank – a Prominent Hill look-a-like? 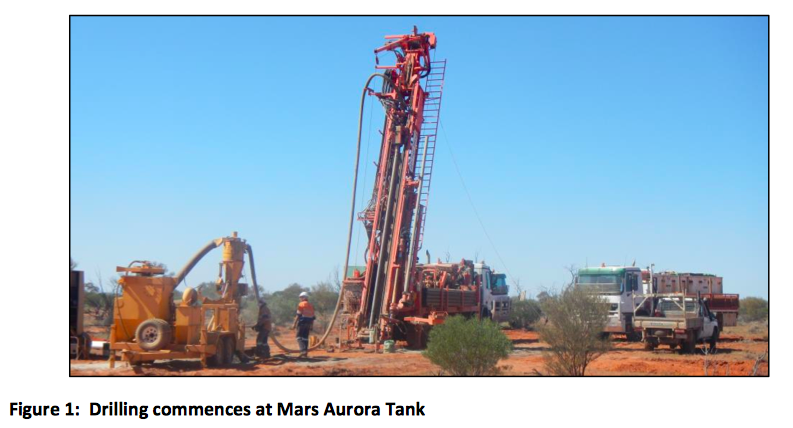 Right now AON is drilling two holes at Mars Aurora Tank to test the potential IOCG resource it’s identified there. 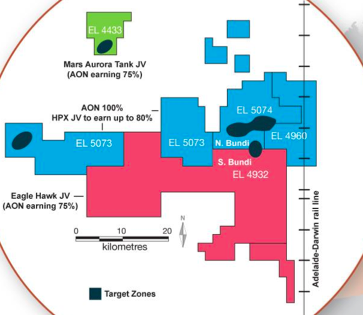 We are anticipating first assay results from the drilling programme any day now – we should soon have a better idea what lies below at Mars Aurora Tank. 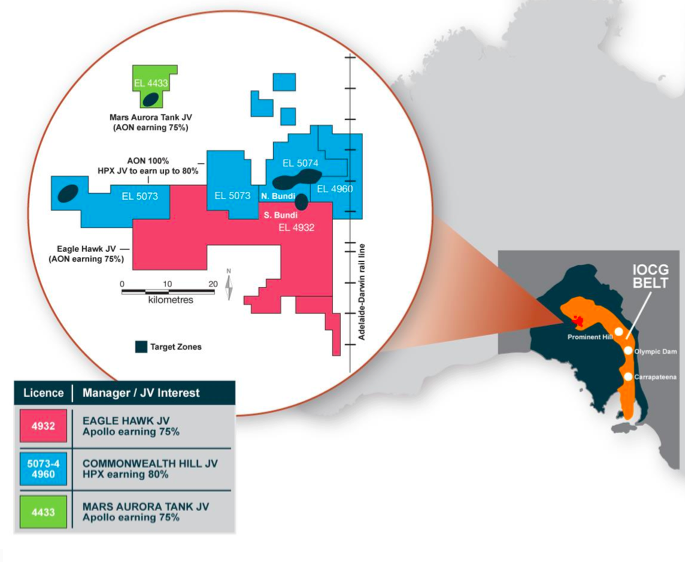 As part of the same campaign, AON are also drilling on the Eaglehawk project where it’s earning a 75% interest in a JV with Mincor. 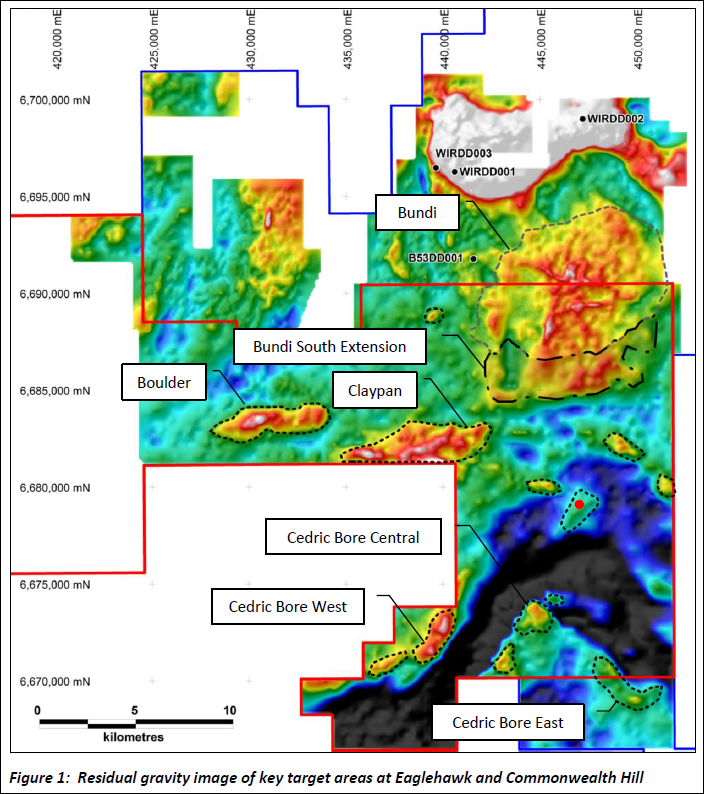 New targets have been identified at Eaglehawk using geophysical modelling and a review of historical drilling data. 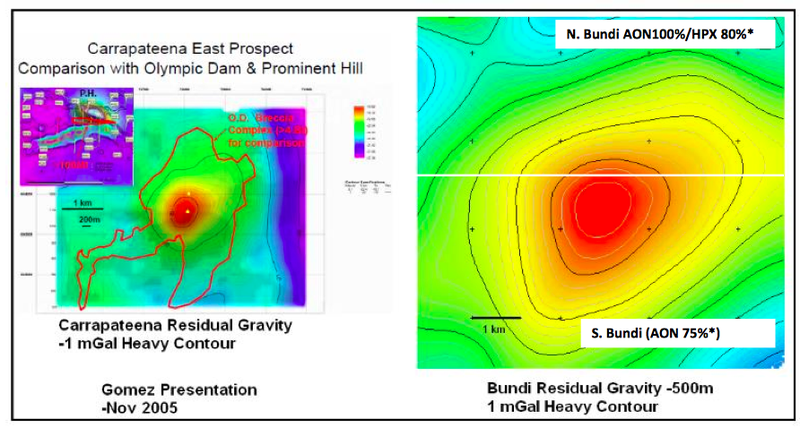 These new targets represent an 18km2 extension to the Bundi South IOCG target , a ‘kilometres’ wide gravity anomaly that sits within the Eaglehawk JV. 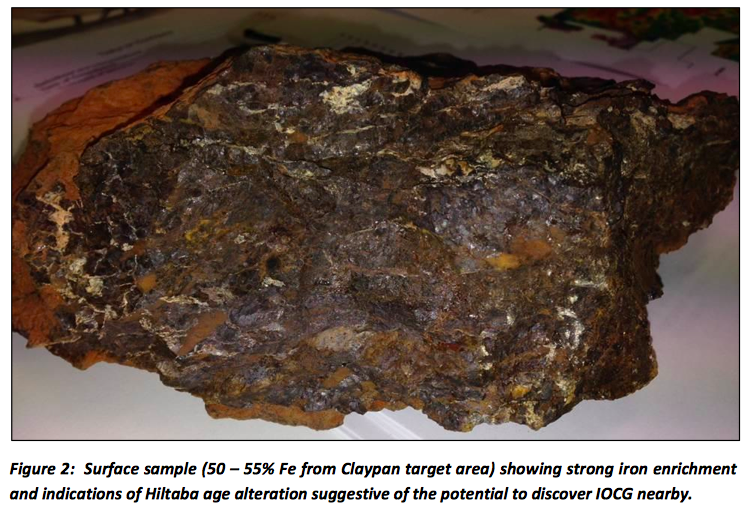 The above rock was picked up from the ground and contains 50-55% Fe – highly indicative of IOCG potential down below... 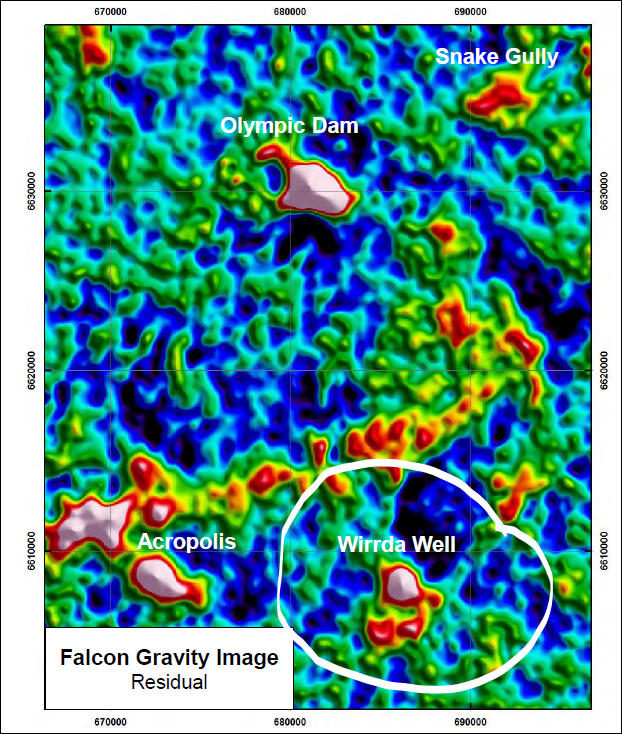 Overall, this drilling programme at Eaglehawk JV is aimed at furthering AON’s understanding of the Bundi South IOCG prospect and widening the area it’s exploring for IOCG mineralisation. 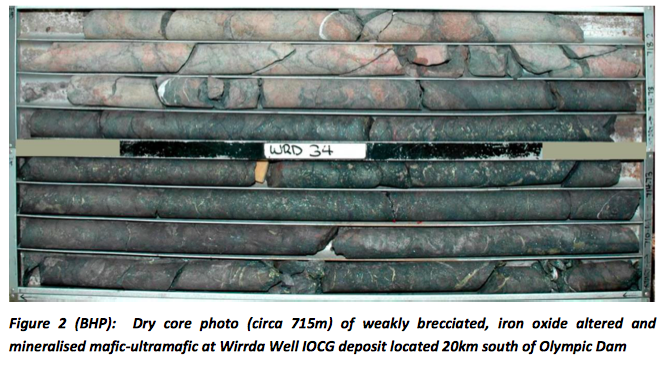 Both drill cores have brecciated rocks (fragments of minerals mashed together) with iron oxide alterations. 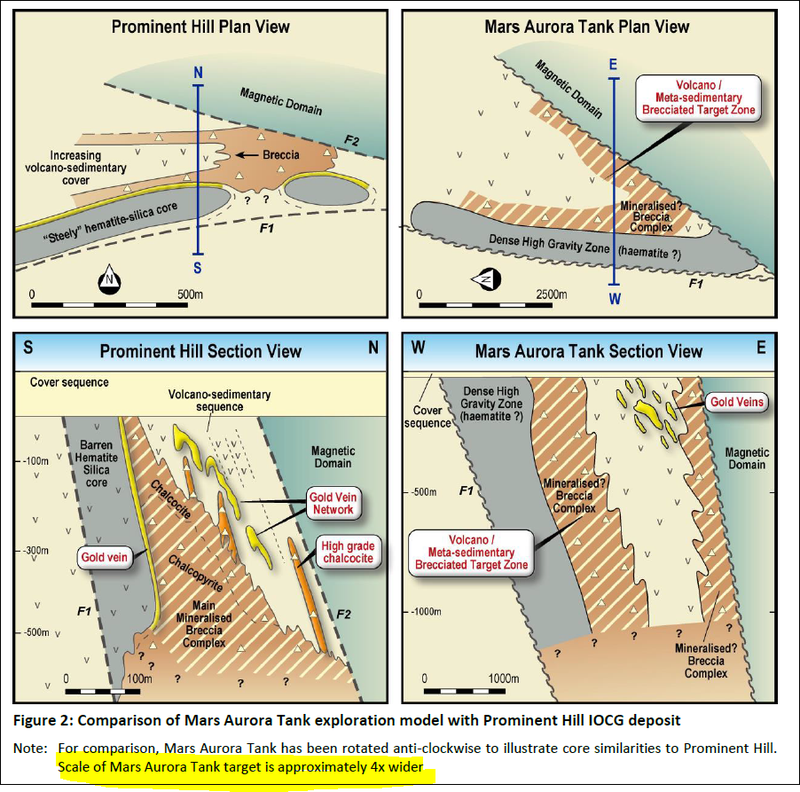 We’re not geologists at The Next Mining Boom , but looking at those two samples side by side shows us that AON and HPX may be onto something at Commonwealth Hill. 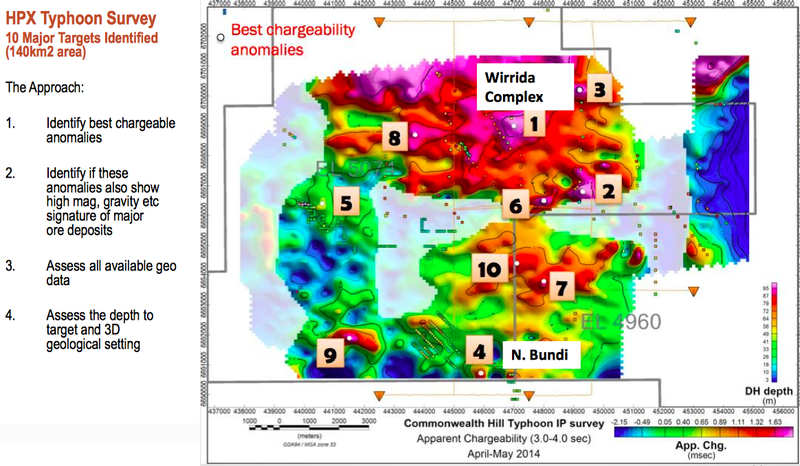 BHP drilled dozens of holes in order to find the Wirrda Well IOCG deposit: 26 diamond holes between 1980 and 1990, plus 25 more diamond holes between 2008 and 2012. 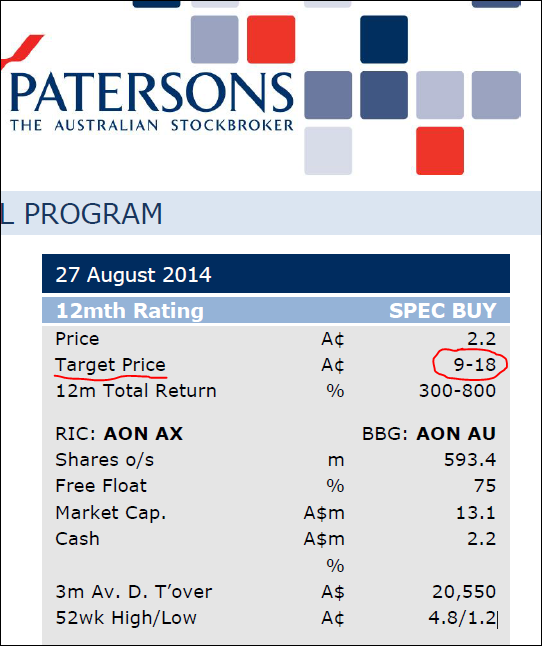 AON has only drilled 5 to 10 holes over several prospects. 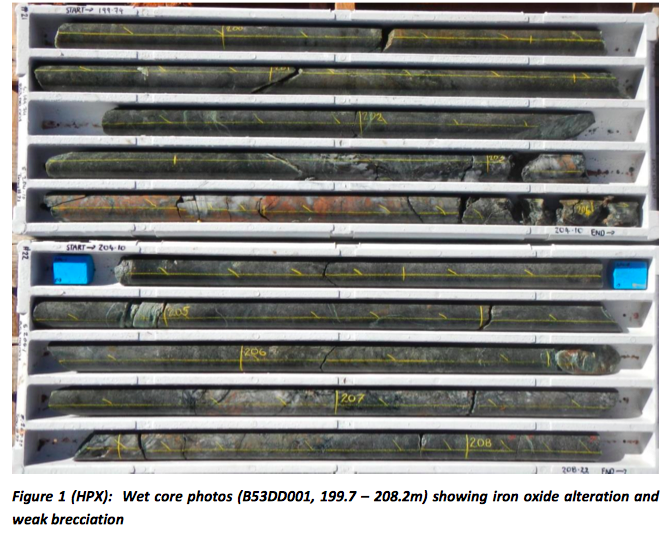 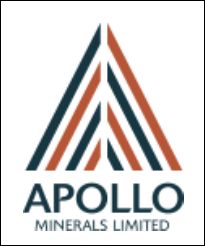 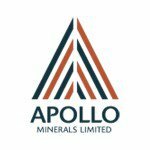 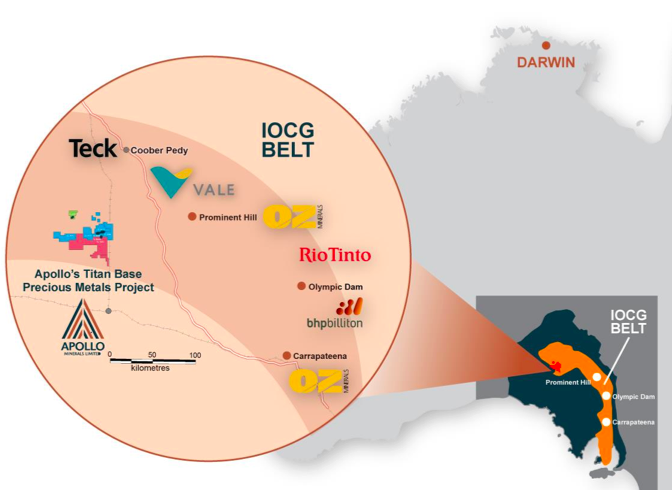 We are hoping AON can replicate a discovery like BHP’s, but it will take further drilling and perseverance. 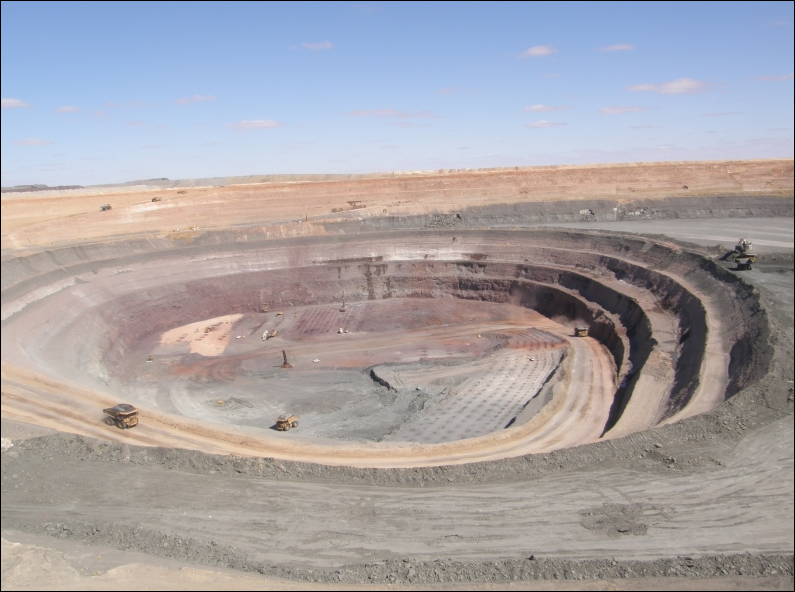 The only way to find out is to keep drilling and exploring.